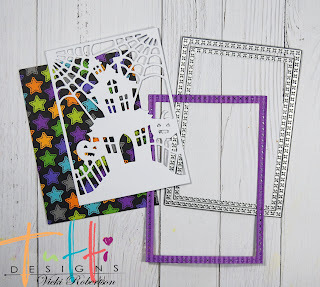 Today, I'm changing things up a bit and back peddling from Christmas inspiration to Halloween inspiration using two Halloween dies from the latest Tutti Designs release. 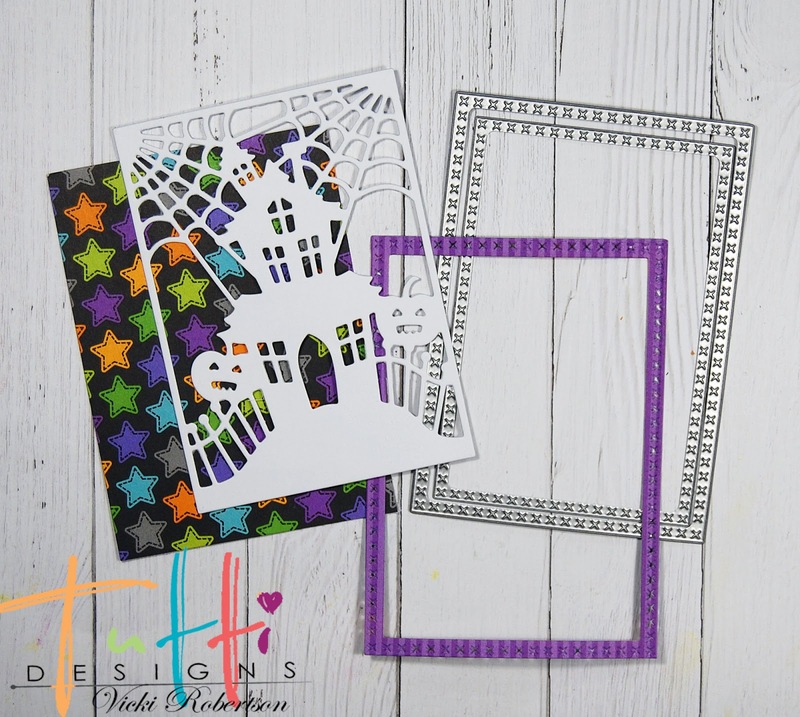 I've used the Haunted House and Spooky Key Dies along with the Cross Stitch Nesting Rectangles and Nesting Stitched Banners to create a fun and colorful Halloween card. This card of many layers was so fun to create. 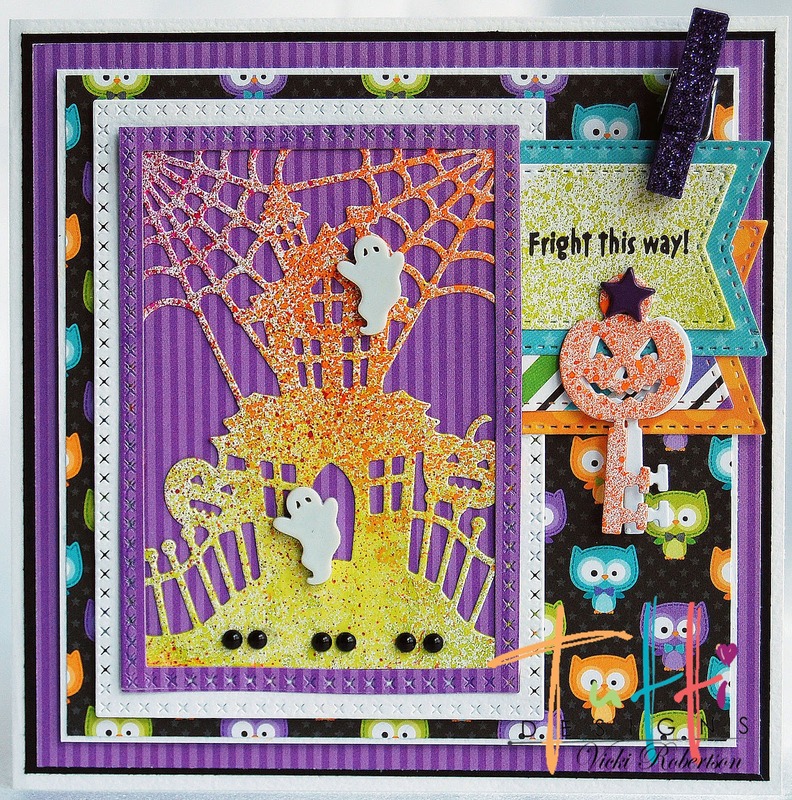 The bright colored patterned papers are from an older Doodlebug collection in my stash. 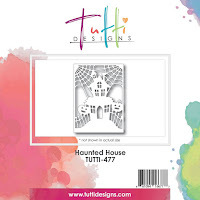 The 6" x 6" card base is white card stock and has fours layers plus the Cross Stitch Rectangle framed Haunted House, Stitched Banners and Spooky Key. The frame for the Haunted House was cut using two of the Cross Stitch Nesting Rectangles. 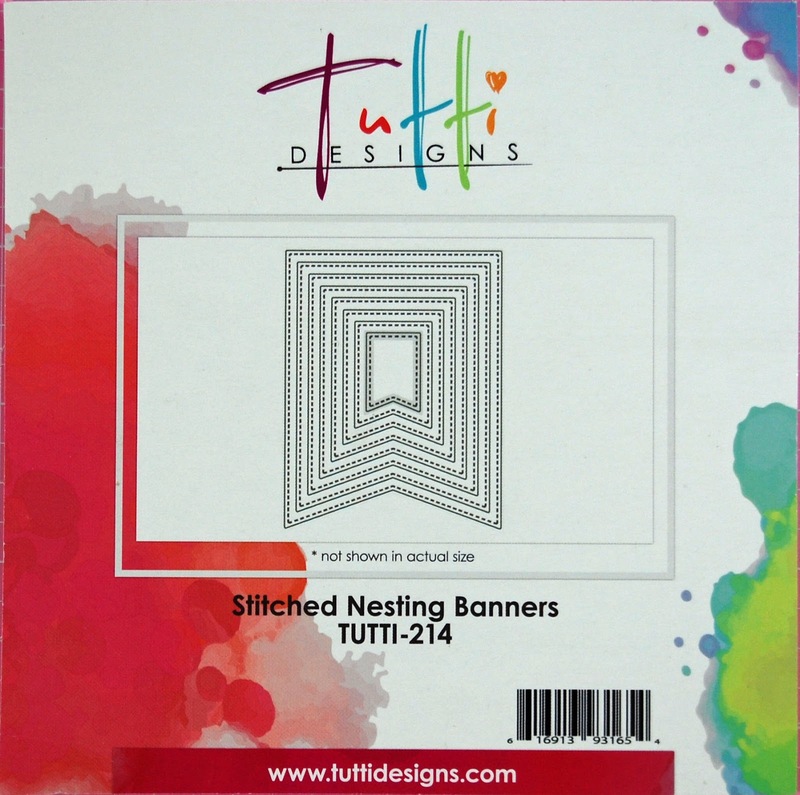 The sentiment is computer generated and die cut using the Nesting Stitched Banners. 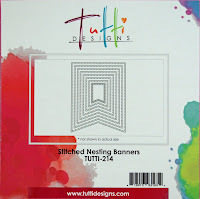 I cut an additional banner and larger banners for matting both. I misted some color on the Spooky Key and Haunted House. 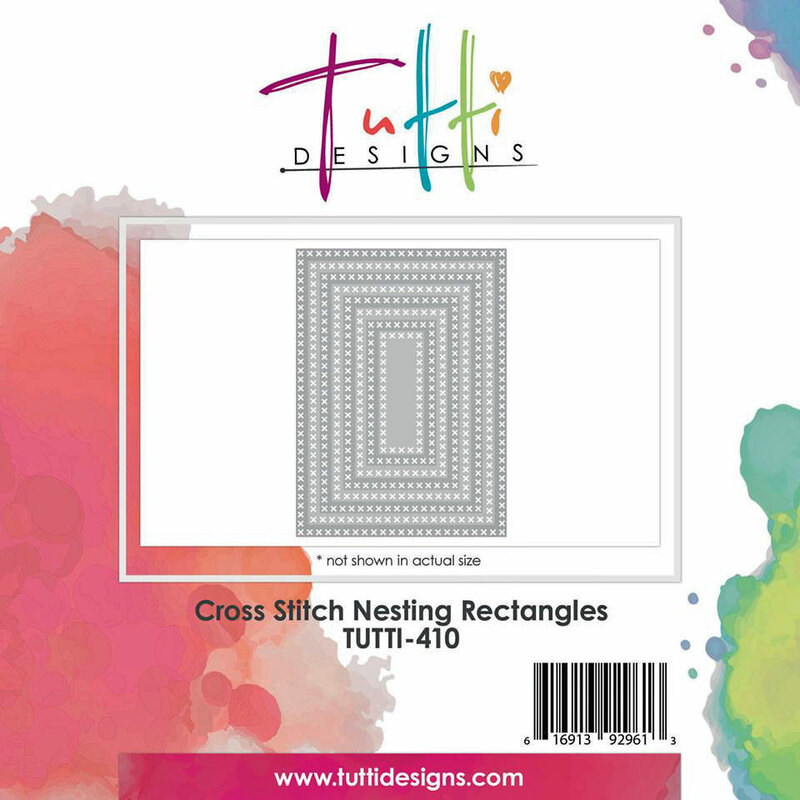 The card is assembled with foam tape between the layers for added dimension. 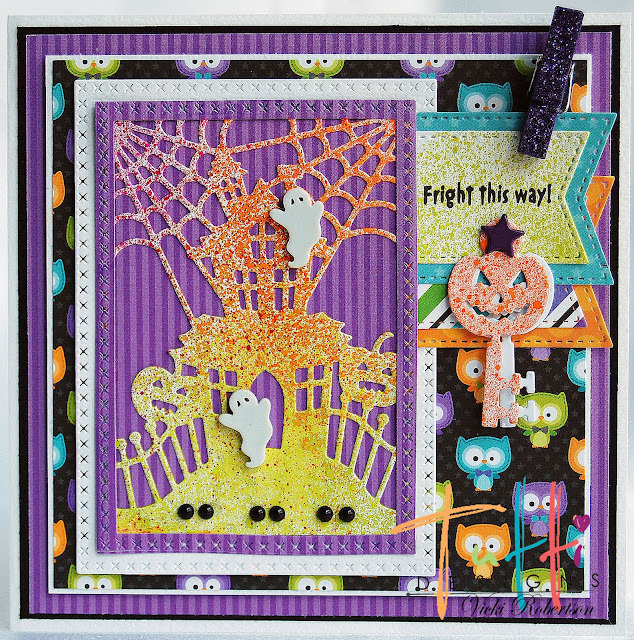 I embellished with cute ghost buttons, mini clothespin, star brad and black enamel dots. 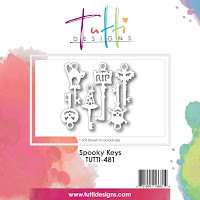 Thanks for stopping by to share my Halloween inspiration for Tutti Designs! 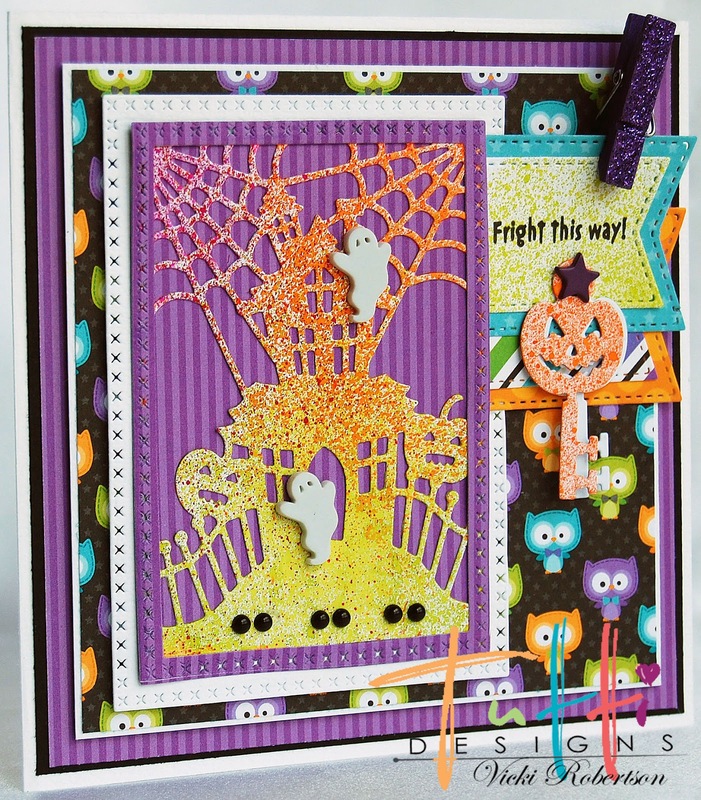 I just love this card Vicki!! 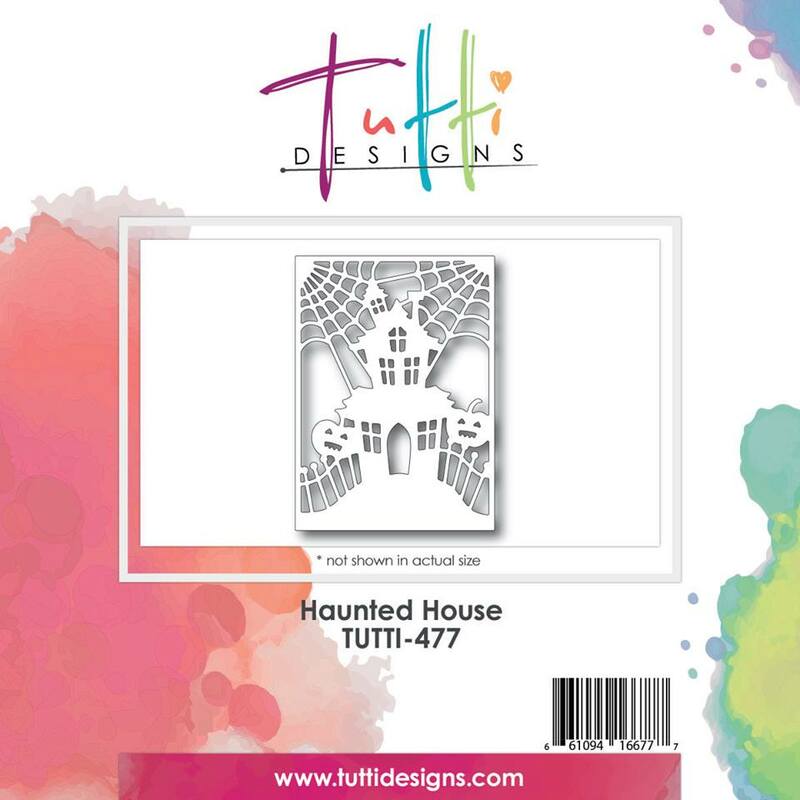 WOW ... awesome Halloween creation! Thanks for amazing inspiration!